Welcome to the Official Website of MGNREGS Cell, Purba Medinipur :: Data entry of e-MR restricted to 30 days from the date of closure from 15th September 2017. This is applicable to all e-MR which completes 30 days from 15th September 2017 ! An Act to provide for the enhancement of livelihood security of the households in rural areas of the country by providing at least one hundred days of guaranteed wage employment in every financial year to every household whose adult members volunteer to do.UlSkilled manual work and for matters connected therewith or incidental thereto. 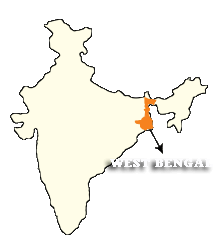 Purba Medinipur District was formed on 1 January 2002 after the partition of Midnapur into Purba Medinipur and Paschim Medinipur which lies at the northern and western border of it. The state of Odisha is at the southwest border; the Bay of Bengal lies in the south; the Hooghly river and South 24 Pargana District to the east; and Howrah District to the north-east. Purba Medinipur is consists of the sub-divisions of Tamluk, Contai and Haldia of erstwhile Purba Medinipur. 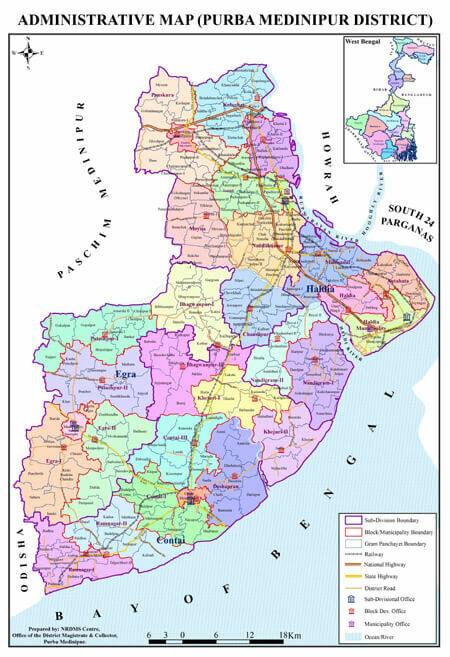 Another sub-division, Egra has been created out of the erstwhile Contai sub-division during the partition of Midnapore. In 2011, the state government has proposed to rename the district as Tamralipta district after the ancient port city of Tamralipta which used to lie near the modern district headquarters. Assembly seats- Tamluk, Panskura Purba,Panskura Paschim, Moyna, Nandakumar, Mahishadal, Haldia, Nandigram, Chandipur, Patashpur, Kanthi Uttar, Bhagabanpur, Khejuri, Kanthi Dakshin, Ramnagar, Egra.